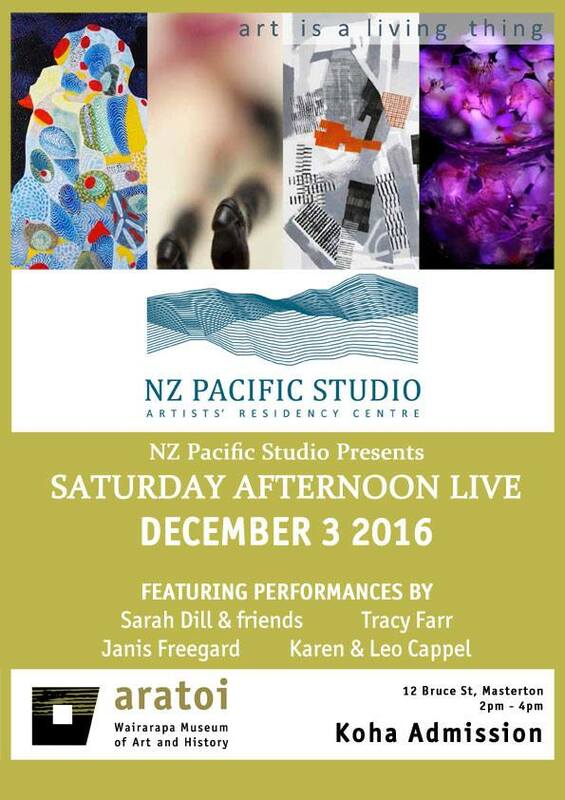 I’ll be reading from my short story ‘Once had me’ on Saturday 3 December at Saturday Afternoon Live, a performance as part of the opening weekend of New Zealand Pacific Studio’s exhibition Art is a Living Thing, which runs at Aratoi Museum from 3 December 2016 to 15 January 2017. There’ll be music, and a reading I’m really looking forward to by Janis Freegard, from the poetry sequence she worked on as Ema Saiko Fellow at NZ Pacific Studio in 2014 (the same year that I was R.A.K. Mason Fellow at the Studio). If you can’t join us on Saturday 3 December, I hope you make it to the exhibition over the summer (exhibition details here). An event of the exhibition Art Is a Living Thing. Music by Leo & Karen Cappèl (Netherlands/NZ), Sarah Dill (USA), and Hemi Walker (NZ). Readings by Janis Freegard (NZ) and Tracy Farr (NZ). All performers have been in residence at NZ Pacific Studio, the artists’ residency centre at Mt Bruce, established in 2001. The exhibition Art Is a Living Thing runs from 3 December to 15 January, and is supported by Trust House.